The tablet format is mostly used for video, gaming, and professional & education purposes. A sleek-looking, multitouch and light device, the tablet took the market by storm five years ago, enhancing the capabilities of smartphones and serving as a laptop substitute on-the-go. It all started when Steve Jobs unveiled the iPad, in 2010, calling it a "magical" device. The tablet has become a highly successful form factor, for its lightweight, access to mobile apps from app stores, and high definition screen appropriate for watching videos. Interestingly, Apple did not come up with the concept; Microsoft did. 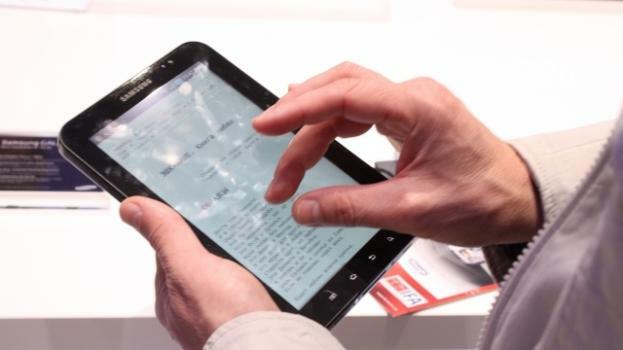 In 2014, consumers worldwide bought 216 million tablets, according to Gartner, giving Apple's iPad the lead and Samsung's Galaxy Tab the runner-up spot. Analysts had predicted that tablets would surpass PC sales in 2015, but those numbers have been revised: it won't happen. The exponential growth of these devices, thanks to the iPad's success and ultra-cheap Android alternatives, has stalled. A few years after the tablet killed the netbook, smartphones with huge screen sizes, or 'phablets', are doing it back in their turn. With models that sport 5.5' to 6' inches, like the iPhone 6 Plus and the Galaxy Note 4, as they render the 7' and 9.7-inch devices redundant. The modern tablet devices were created in light of the iPad, and Apple is credited with coming up with a new market where there existed none. But it was Microsoft's Bill Gates who invented the tablet computer, back in 2000. The company first revealed a monochromatic device manufactured by Lenovo, and two years later developed a colour model, running Windows XP Tablet operating system and made by Fujitsu. None were successful. The concept was buried until Apple released the iPad, known as an 'iPhone on steroids', in 2010. Microsoft eventually got back to the market with Surface, in 2012, and is now preparing the launch of version Pro 4. Its tagline? "The tablet that can replace your laptop". As for Apple, still recovering from a sharp fall of iPad sales in the fourth quarter of 2014, the firm is rumoured to be planning the release of iPad Pro, a super-sized version with a 12-inches screen - the original size is 9.7', apart from 7.8-inches iPad mini. Based on a patent application, Sony could build the first smart digital camera that would be integrated on a human eyeball. Apple released a miniaturized, yet powerful tablet to perform like a pro. The iPad Air 2 is the thinnest and lightest portable computer of its kind. Animal couple keep their long-distance relationship going using ‘SealTime’. An amorous seal couple are managing to maintain their contact using iPads despite being hundreds of miles apart. The giant iPad Pro is real and comes with a stylus and a smart keyboard cover – just like Microsoft's Surface. The usual diet of trivia fails to troubleshoot that untimely curtain close. Research suggests that households have stopped paying the TV licence fee as people think they no longer need to. This remarkable wine district is reinventing itself every year, and is never out of date.